Your vacation in our beautiful city is not full without a visit to one of our theatres! We live in the city of many theatres. To have at least a little bit of the cultural experience of Russia try to visit one of them. Classical Russian ballet began in St. Petersburg and here you will see a performance staged according to the samples of the 19th century. We will be pleased to supply you with tickets for the best theatre performances at best St. Petersburg theatres. The choice can be yours or we can suggest performances that will be available during your visit. 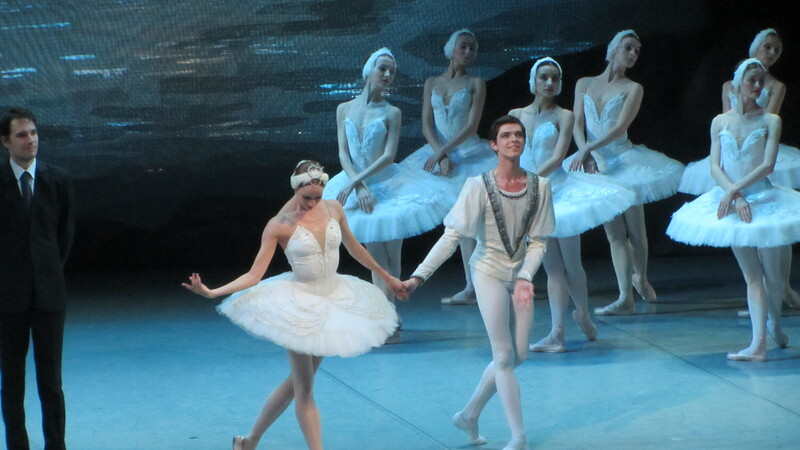 The most common ones during the summer season are – The Swan Lake, The Nutcracker, The Sleeping Beauty. • The price does not include the cost of transportation to and from the theatre. • Please, do not worry – your evening activities will be correctly adjusted to your day tour. 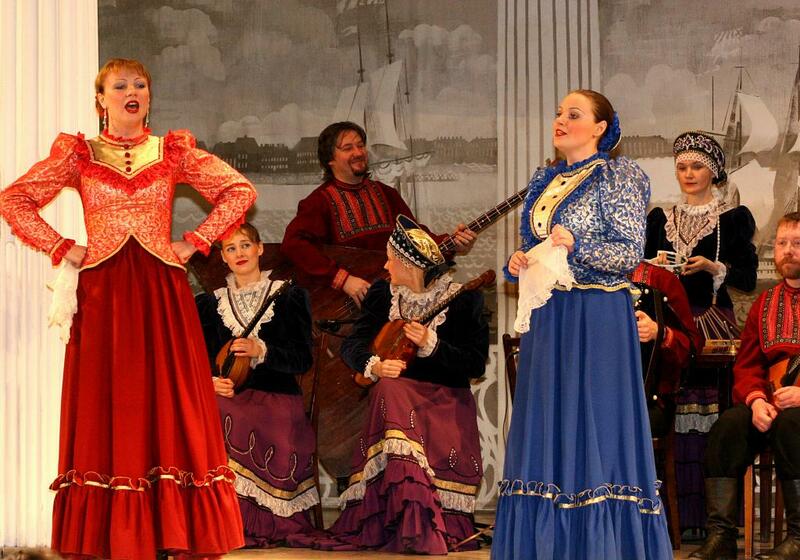 For you not to be bored at the ship in the evening there is a nice chance to visit one of Russian folk shows. This is one of the best opportunities to try to understand the unpredictable Russian soul. Usually it is a combination of Russian dancing and songs. The dancers wear very colorful traditional costumes that show how bright the life in Russia is. Not to feel hungry you will be offered there some buffet snacks and even some alcohol drinks. Believe us you will spend the unforgettable evening there. • This price includes the tickets, buffet snacks and drinks. • This price does not include transportation to and from the show. The history of Fabergé Museum started not a long time ago, only in 2004. 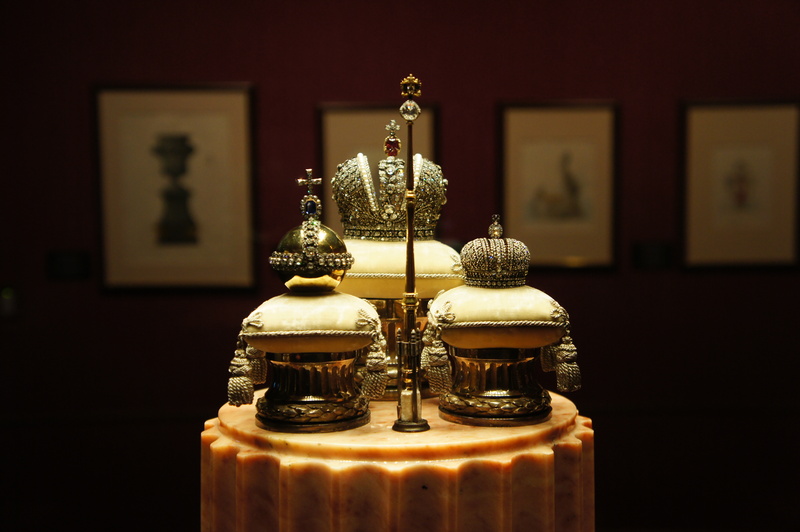 That year a collection of works by Faberge House was acquired by Russian businessmen. The museum was made in Shuvalov Palace that had been renovated specially for it. During the tour it is possible to see more than 4000 pieces of art including 200 works by Carl Fabergé, among them there are nine famous Imperial Easter eggs. The collection also includes Russian old icons and some of impressionists’ works. 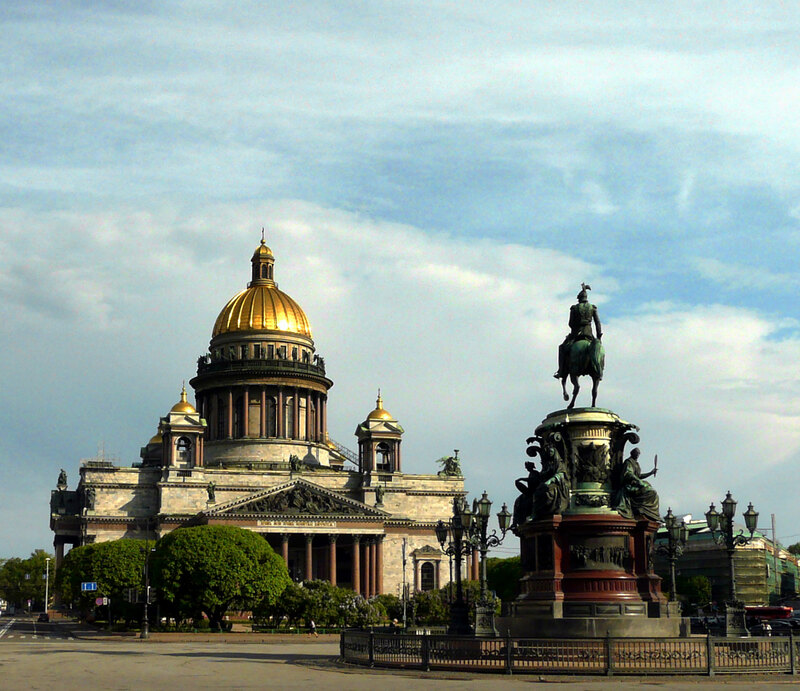 Usually day tours are very complicated as most of our guests would like to see in St. Petersburg as much as possible during their visit. For you not to think that you missed something very important here we are happy to arrange a tour in this museum in the evening. Sometimes evening options offered by us or other companies can be boring or may seem to be quite usual. To make your stay here unique and to fulfil all your dreams we are happy to make your ideas about how to spend the evening here real if you have any. Our beautiful city offers a variety of different activities, your task will be only to tell us what you would like to see or where to go. 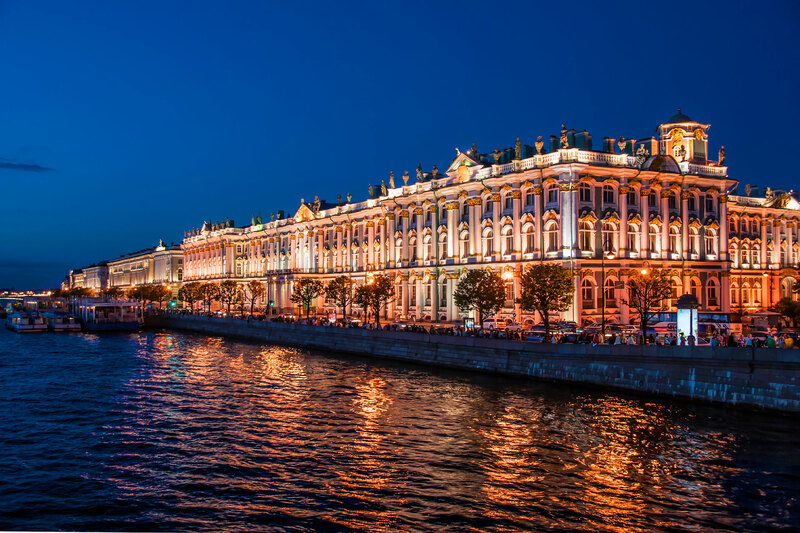 It could be a visit to one of our most prestigious restaurants, usual pubs, most popular nightclubs or just a walk around the center of St. Petersburg. 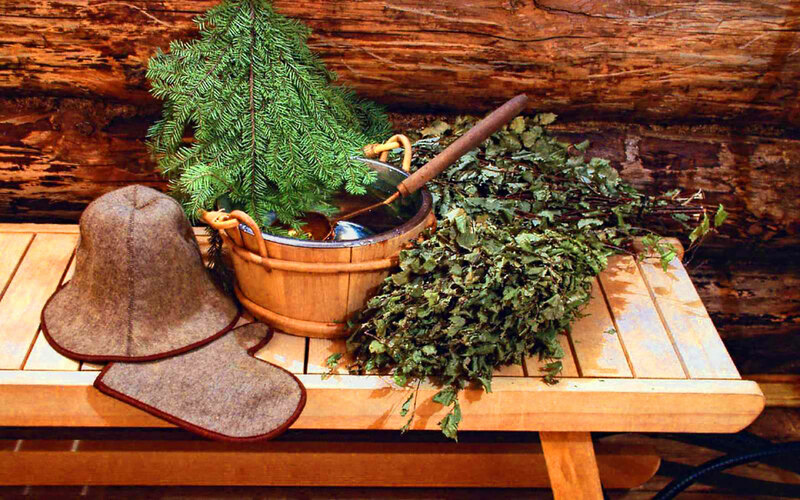 The tradition to go to banya in Russia appeared centuries ago. No one knows who introduced it but every child beginning from the age of five knows what banya is. This is the way Russians got washed in the old times. Real Russian banya looks a bit like Finnish sauna but it is wet as wet steam is used to warm it. Very often the banya is combined with different relaxing procedures, such as different types of massage. Of course, we have modern and comfortable bathrooms in our apartments now but still having Russian banya is an existing and very important tradition for us. Believe us, it is a special experience. We are sure you will enjoy it and have a relaxing time and it is very traditional! • People do not have to be naked in banya, you may wear a swimsuit or a sheet. • This price includes a visit to banya. The cost of food and drinks you would like to have is calculated separately. • The price does not include the cost of transportation to and from the banya. Boat trips along the city’s rivers and canals have lately gained a great popularity. 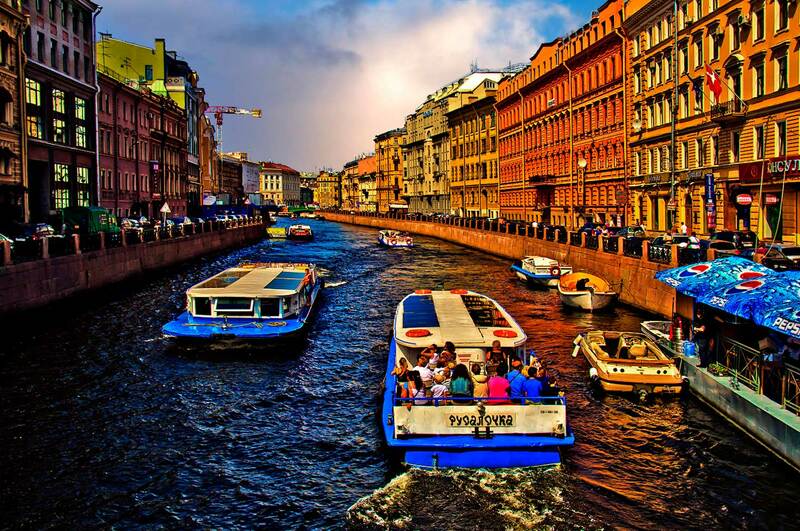 The navigation season in St. Petersburg lasts from the end of April to October. We offer trips to any taste and they are extremely popular during the period of White Nights (middle of May – middle of July). You can choose traditional routes or take a trip of your own following an individual route. The covered cabins of boats allow taking trips in any weather. This is a 1-hour tour by boat. It is a very nice opportunity to take excellent photos from the water. According to your wish, we can arrange the boat ride for you or your party two ways: in a group of other tourists or your private boat. • The price does not include the cost of transportation to and from the boat. 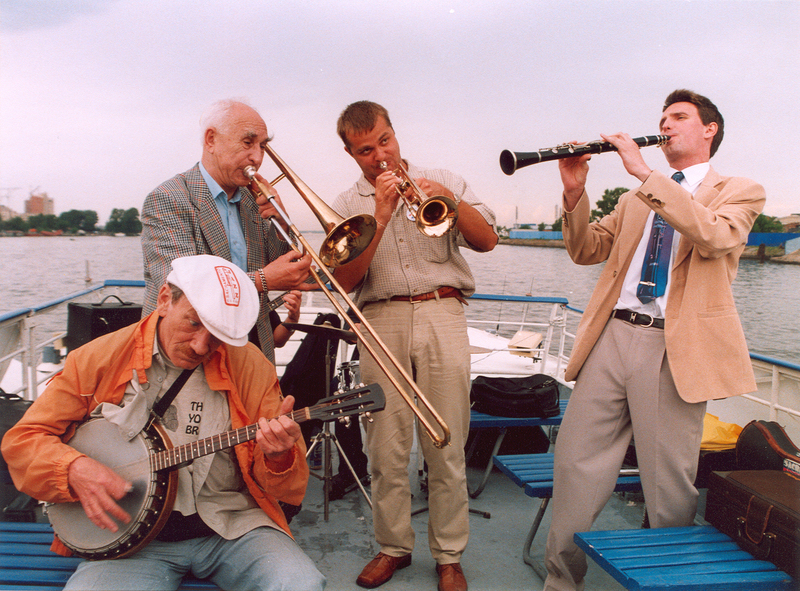 We are offering you to have a musical picnic that is regularly held by the oldest in the city jazz club on board of the boat. Listening to jazz could be a part of your evening program. Thus, you will relax after your day full of tours and information. To have dinner or just some drinks while enjoying the city view around is also a nice option that the boat will offer you. The tradition comes from New Orleans, the USA, where in the beginning of the previous century jazz bands used to play music on boats sailing along the Mississippi River. • The tour is possible only on the boat with other tourists. • The price does not include the cost of food and drinks and transportation to and from the boat. • The price includes the tickets. • The tour usually begins at about 7 pm and last for about 2 hours. On Wednesday and Friday the Hermitage closes at 9pm that is why it could be nice to have a tour there in the evening. Of course, it is better to see the Hermitage collections with the private guide of Saint-Petersburg. We always include into our Hermitage tours a visit to the great halls of Winter Palace and the highlights of the painting and sculpture collections of this museum because it is impossible to see all the exhibits within one tour of the Hermitage. The Hermitage collection includes about 3 million pieces, they say three years are not enough to see everything there. The collection of impressionists’ is located now in a separate building and not included in the general tour in the Hermitage. Please inform us If you would like to see it. We will be happy to book the tickets for you there also. • The tour is possible in the evening on Wednesday and Friday and finishes at 9pm. • The price does not include the cost of transportation to and from the museum. This is one of the nicest evening options. At the end of a day, after all visited museums you will have an opportunity to spend nice evening in a good company. It is known that Russian people are very hospitable. They love to have visitors. The best way to experience it is to book this tour. It is also the best way to feel local, to see how an ordinary Russian family live. 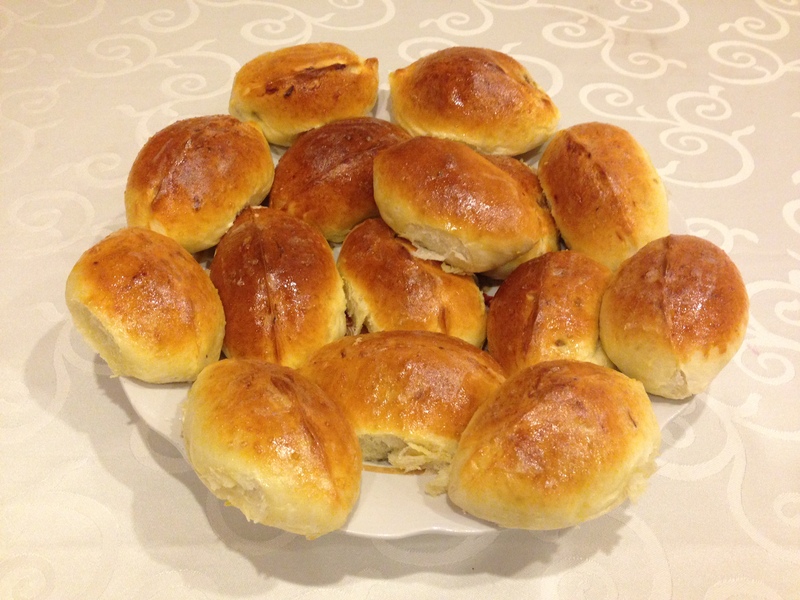 During dinner you will try typical Russian food like borsch, pies (pirogi) or pancakes (blini) etc. We are sure it will be above your expectations. Read more about this tour here. • This price includes guide and driver’s service.